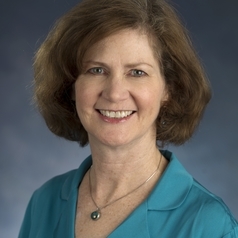 Jennifer McCoy, PhD, is Distinguished University Professor of Political Science and was founding Director of the Global Studies Institute at Georgia State University. A specialist on democratization, democracy promotion, mediation and conflict prevention, election processes and election observation, and Latin American politics, Dr. McCoy has authored or edited six books and dozens of articles. Her latest book is International Mediation in Venezuela (with Francisco Diez, 2011). Current research projects are Polarized Polities and Conflict; The Dilemmas of Transitional Justice in the Colombian Peace Process (funded by USAID and NSF); Regional Organizations and Mediation of Political Crisis; and The Changing Norm of International Election Monitoring. She teaches courses on comparative democratization, international norms, and Latin American politics. Dr. McCoy served as Director of the Carter Center’s Americas Program 1998-2015, where she created the group of Friends of the Inter-American Democratic Charter group; directed The Carter Center’s projects on Mediation and Monitoring in Venezuela 2002-2004, Ecuador-Colombia Dialogue Group 2008-2010, and U.S.-Andean Dialogue Group 2010-2011; led over a dozen election monitoring missions and organized former President Carter’s historic trips to Cuba in 2002 and 2011. McCoy is a life member of the Council on Foreign Relations; member of the International Women’s Forum; and co-chair of the Atlanta chapter of the Scholar’s Strategy Network. She has testified multiple times before the U.S. House of Representatives and Senate, and served as consultant, board member and adviser to various international organizations, NGOs, and corporations.